Timothy Zahn’s Heir to the Empire was released at the end of May 1991 which makes it 20 years old. Heir to the Empire was the first “expanded universe” Star Wars novel since the Lando Calrissian solo novels in the 80s. 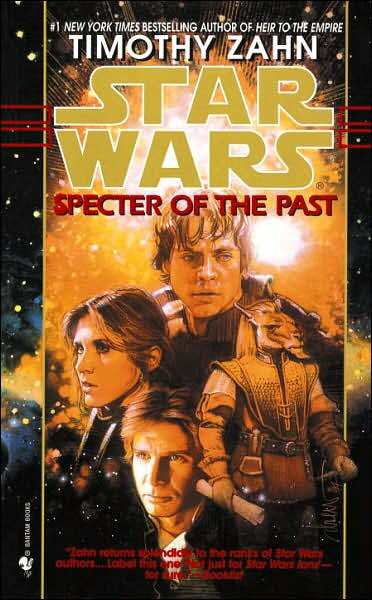 It would become immensely popular and spark an avalanche of Star Wars novels that continues to this day. 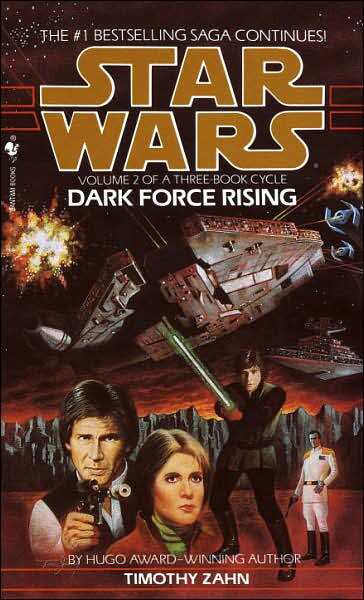 The next two books in Zahn’s “Thrawn Trilogy”, Dark Force Rising and The Last Command, were released in 1992 and 1993 respectively. The characters Zahn created in his trilogy became extremely popular and would be used by other authors for years afterward. Grand Admiral Thrawn, the Empire’s strategic military genius, would be one of the more popular. However Thrawn as a character would not really be written by anyone other than Zahn. Mara Jade would be used by many authors up until the current day. She would go on to marry Luke and have his children. Talon Karrde, smuggler extraordinaire would also prove popular and show up in novels from time to time, as would the New Republic’s military strategist, General Garm Bel Iblis. Zahn’s three books would also popularize the idea of clones in the Star Wars Universe as well as be the first to use the formal name of the Imperial homeworld (and current Republic homeworld); Coruscant. Zahn would expand on these books years later with the sequel duology, The Hand of Thrawn. In it we would learn more about Grand Admiral Thrawn’s people, the Chiss. 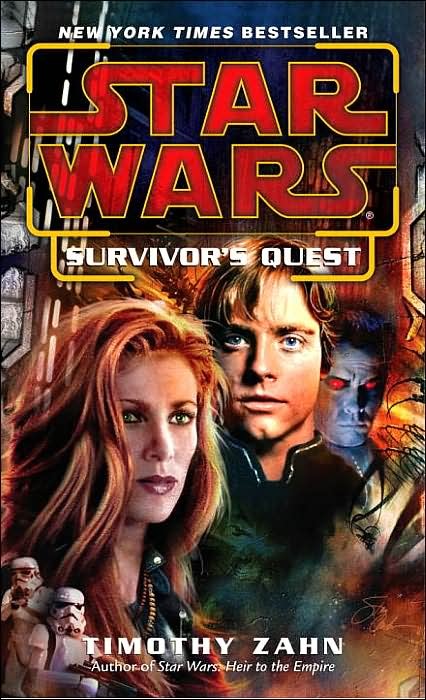 Zahn would also expand on one of the subplots in Heir to the Empire, that of the Jedi expedition, Outbound Flight, in two more books; Survivor’s Quest and Outbound Flight. He would also write several short stories that would interconnect all of these books. Below are the covers to the other 4 books in the “Outbound Flight” saga. From left to right; Outbound Flight, Specter of the Past (Hand of Thrawn 1), Vision of the Future (Hand of Thrawn 2), Survivor’s Quest. The Thrawn trilogy would fit in chronologically after Outbound Flight, second from the left. Overall, Zahn would create a rich story throughout these 7 books and create story lines and characters that exist to this day. Last summer/fall, I read the entire Outbound Flight saga. The only book I hadn’t read before was the first; Outbound Flight (well, first chronologically, but last to be published). As a matter of fact, it made my year end list of favorite books for 2010. I highly recommend all the books. 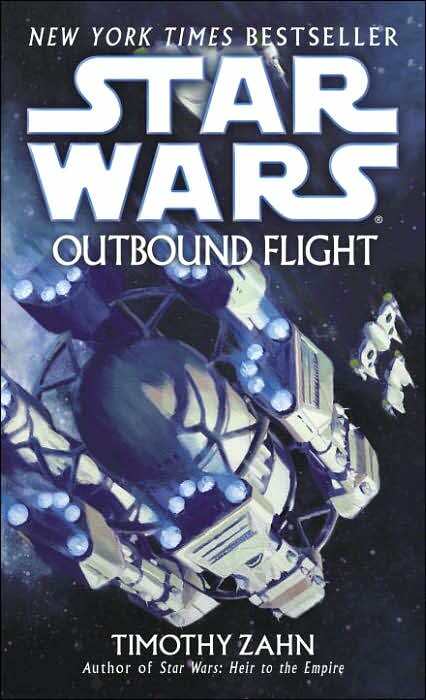 My favorites, however, would probably be the three original Thrawn books followed closely by Outbound Flight. The other books have great moments as well, but the biggest bang for the buck come from the ones I mentioned. 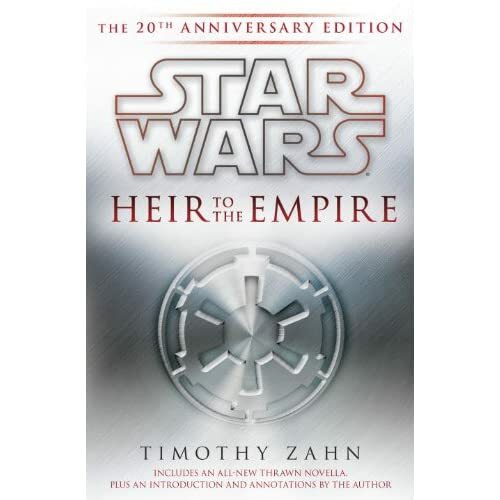 On September 6, the 20th Anniversary edition of Heir to the Empire will be released. It will feature a brand new Grand Admiral Thrawn novella written by Zahn. If you haven’t read these, or it’s been years since you read them, I highly recommend reading the entire Thrawn trilogy. Zahn is a master storyteller and one of the best Star Wars authors writing today. This entry was posted on June 1, 2011 at 10:00 am and is filed under books, movies, pop culture, Star Wars with tags anniversary, Book Report, books, movies, pop culture, Star Wars. You can follow any responses to this entry through the RSS 2.0 feed. You can skip to the end and leave a response. Pinging is currently not allowed. What can I say? Great books. They need more like them.